I’m a day late in posting these — both virtually, here on the the blog, as well as posting the old-fashioned way, in the mail. 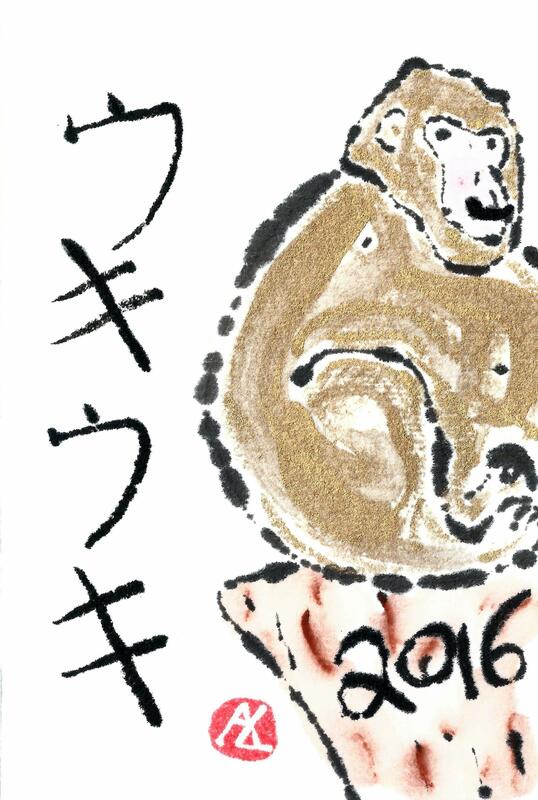 The new year, 2016, is the year of the monkey. 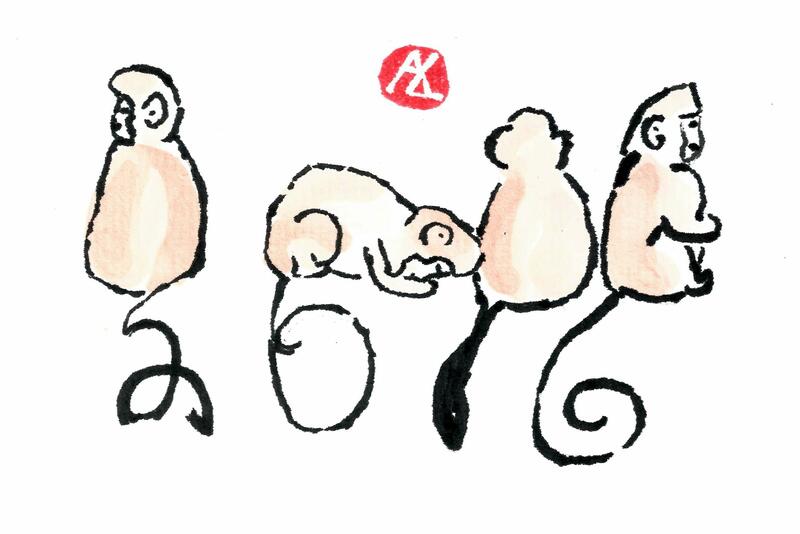 I had a few etegami ideas based on puns… “Barrel full of monkeys”, “monkey business” — but they didn’t really pan out when I tried painting them. 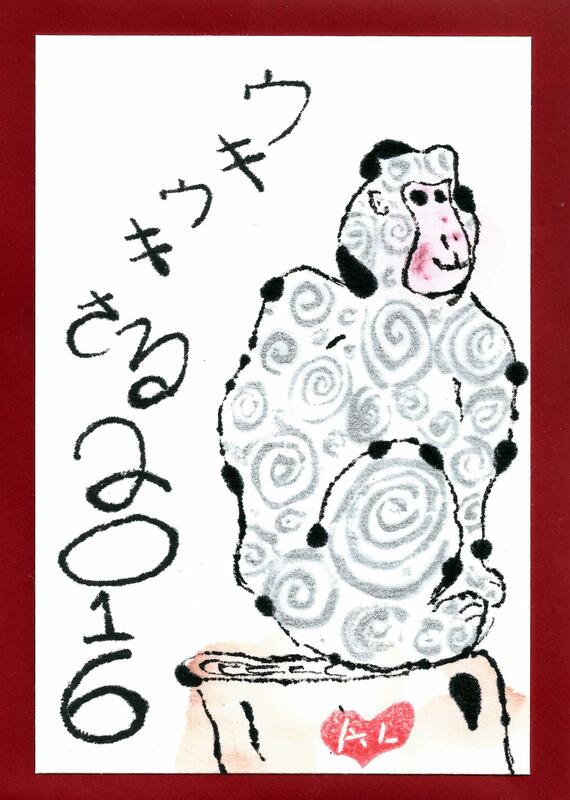 My favorite card ended up being this one, modeled on a photo of a snow monkey from Japan. 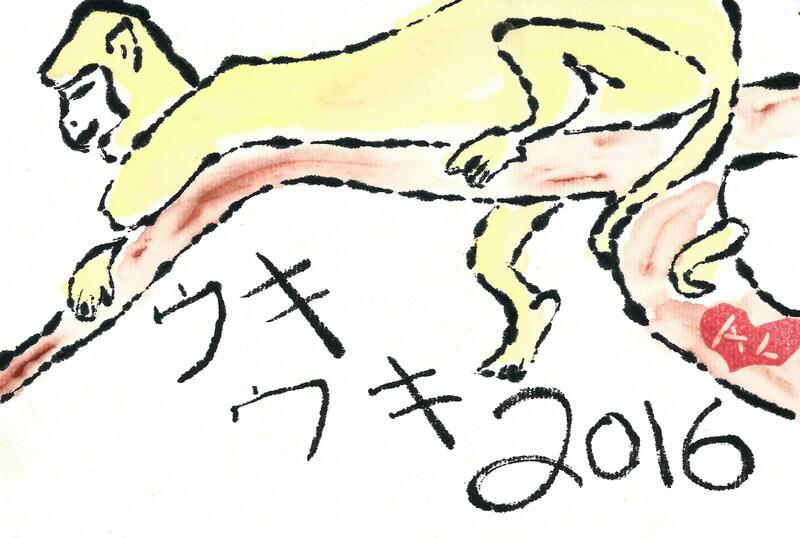 The Japanese words say “Uki uki saru”, or “Excited monkey!” It’s a sort of pun, as monkeys say in Japanese ウッキー, “ukki”! Here’s another color I tried, gold paint. It’s a lot more sparkly in real life! I am especially taken by the last one, with the group in different postures, but I love the whole assortment. I love all of these, especially the sparkly one!